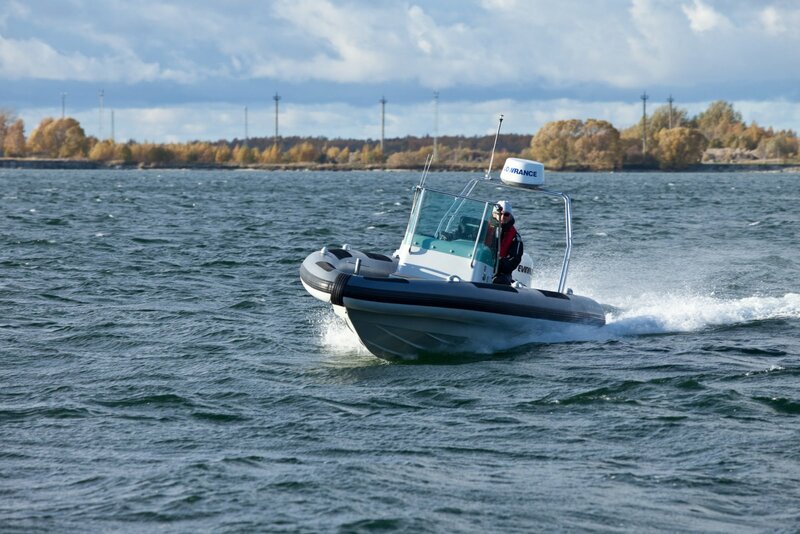 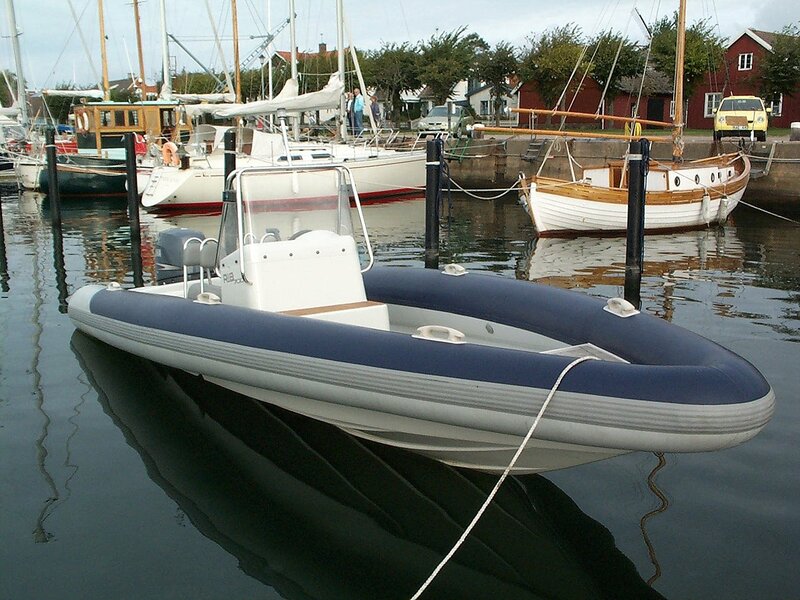 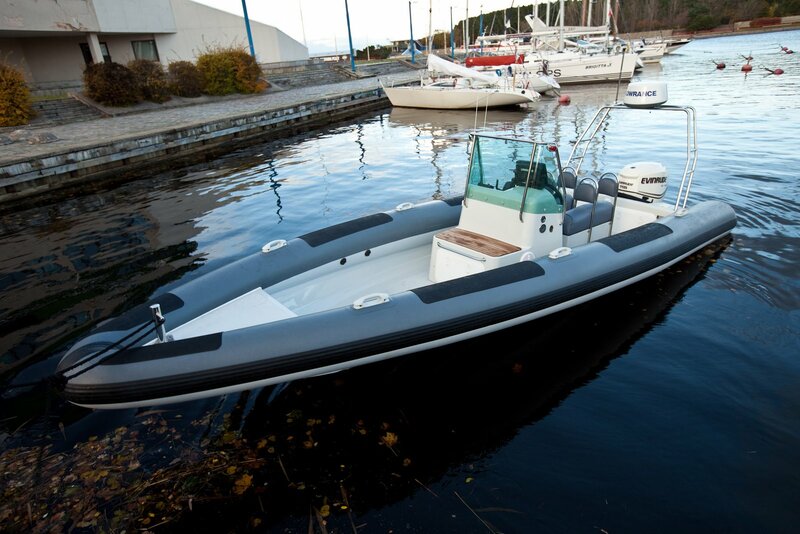 The RIB 700 a 7-meter RIB. 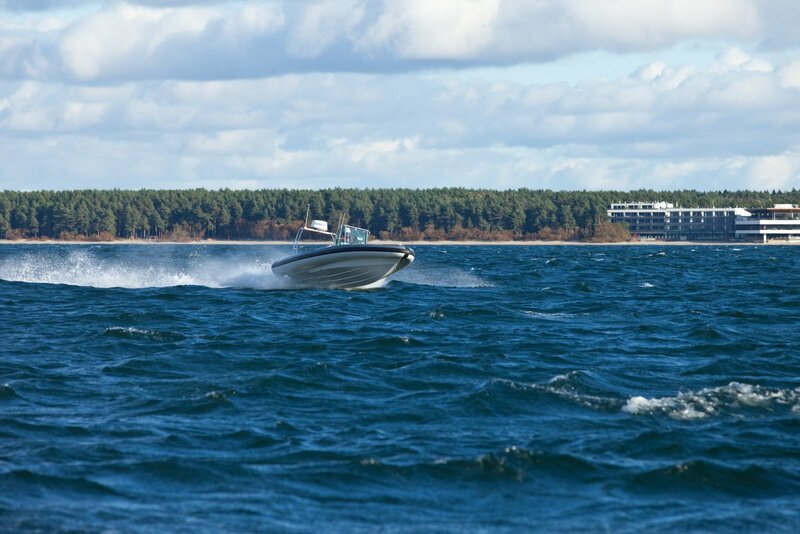 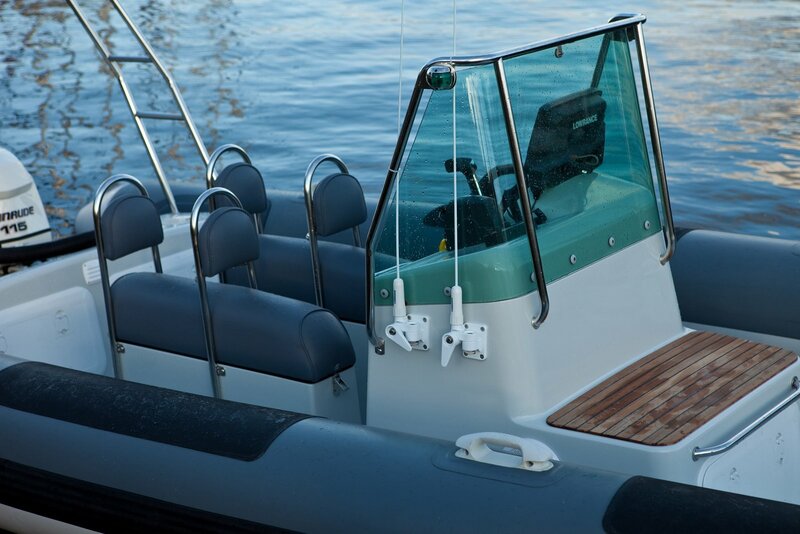 The low weight of this model, combined with the hull's double ventilated steps, creates an extremely low leveling threshold that gives the RIB 700 amazingly responsive acceleration. 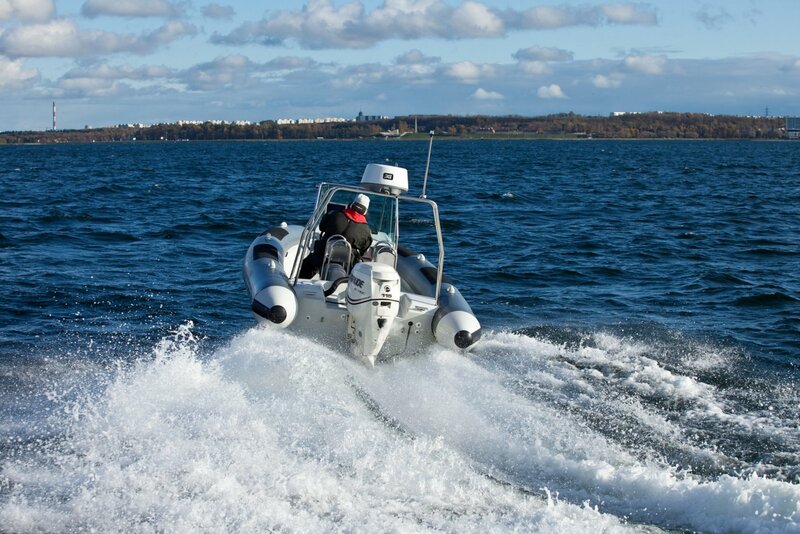 The ventilated steps also give the RIB 700 a grip on the water while turning, for increased maneuverability. 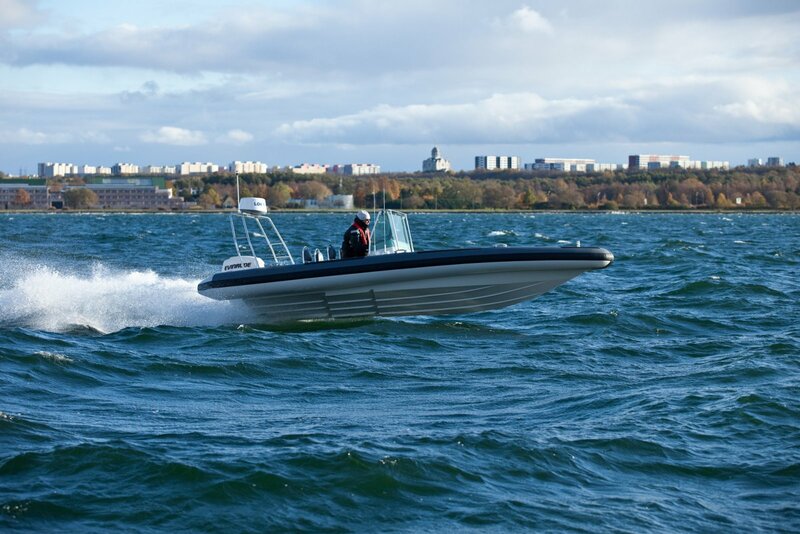 The RIB 700 have been designed to withstand the extreme conditions and heavy seas of the North Sea - possibly the harshest marine environment on Earth. 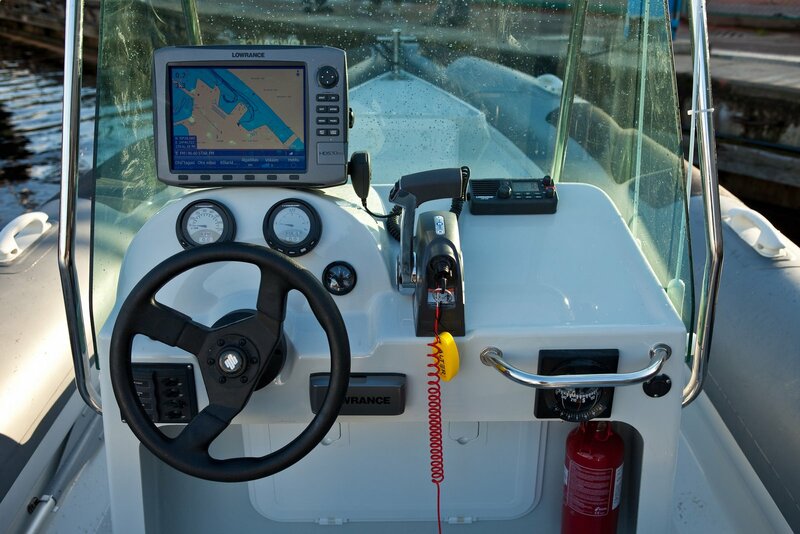 With this in mind, you can rest assured that your family is safe, even in unexpected bad weather.